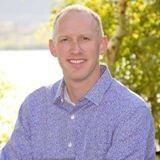 Dr. Josh Francis is the new owner of Wind River Dental. Dr. Francis has spent the last 4 ½ years practicing dentistry in Sublette County, and is excited for the opportunity to continue to serve the community he loves by taking of their dental needs. He and his staff will be ready to serve you with all of the latest technology, including same day crowns, lasers, implants and advanced x-ray systems. Dr. Francis is proficient in all areas of dentistry including cosmetic, preventative and restorative dentistry. Dr. Josh believes that your oral health is the gateway to your overall health and feels grateful to assist you in your pursuit of total dental health. Dr. Francis grew up in Evanston, Wyoming. He is a third generation dentist. His grandfather and father are both dentists, as well as numerous uncles and cousins! He attended dental school at Creighton University in Omaha, Nebraska. Dr. Josh and his wife, Jessica, and their 4 children (Hadlee-8, Oakley-6, Avery-3 and Easton-1) love living in Pinedale! When not at the dental office, Dr. Josh enjoys hunting, hiking, fishing, camping and all of the outdoor adventures that the great state of Wyoming has to offer.